The NJ Highlands Coalition would like to invite you for a very special guided hike at the beautiful Hamburg Mountain Wildlife Management Area. Towering to an elevation of 1500 feet in height, the Hamburg Mountain ridges guard the southern approaches to scenic Vernon Valley. 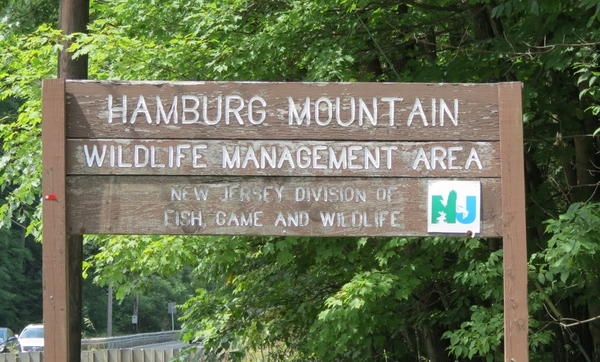 Adjoining the Pequannock Watershed, Hamburg Mountain is one of the largest contiguous forests in New Jersey. On Saturday, September 17th, join Dennis Miranda on an easy walking tour to learn of the rich natural heritage and conservation struggle that led to the preservation of this important region of the New Jersey Highlands. You may glimpse Black Bear, Northern Raven and Bald Eagle, so bring your sturdy hiking boots and a pair of binoculars. Dress in layers in anticipation of a cool morning and seasonally warm afternoon. Heavy rain cancels. PLEASE RSVP TO julia@njhighlandscoalition.org to reserve your spot.